It’s that time of year again when the world tour arrives on the splendid shores of France, to gorge itself on wine, croissants and hopefully picture perfect sand bottomed kegs. Small perfect peelers greeted the women this morning. 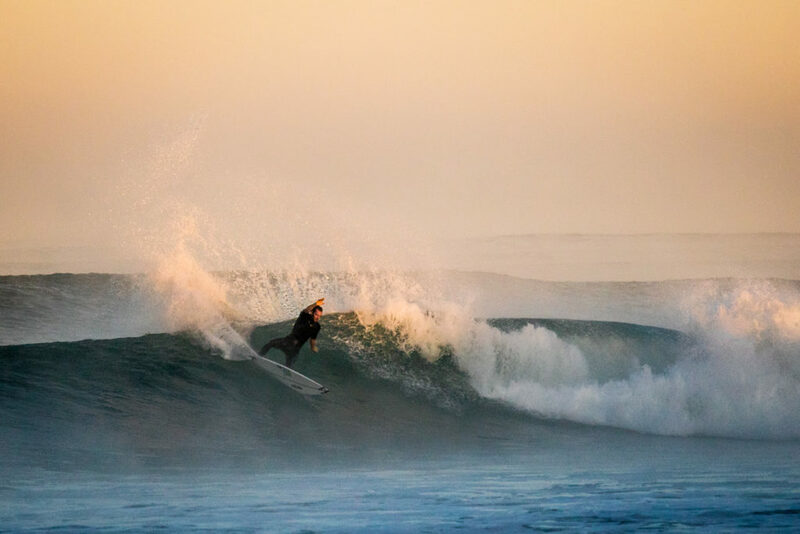 After three consecutive years at Les Culs Nul, in the absence of good banks through the tide, the comp has pitched up at La Graviere, just south of Central. The banks are looking quite fun on the main peak, however there’s the potential for something much better just to the south, where a mid to high tide bank looks like it could produce an epic grinding left on a bigger swell. A unknown grom slots in to a hollow one on a fickle little bank up from the contest site. There’s a lack of defined sand bars along much of the coast, chopping the swell up a bit and turning long clean groomed lines into pretty straight closeouts, particularly at dead low, however there are a few little short tidal windows that serve up the goods here and there. The forecast is looking small for Monday and Tuesday, pretty much flat for Wednesday morning before the arrival of a new swell which builds throughout the afternoon. Light offshore winds accompany a new solid, long period swell which peaks on Thursday, before dropping a little into Friday. 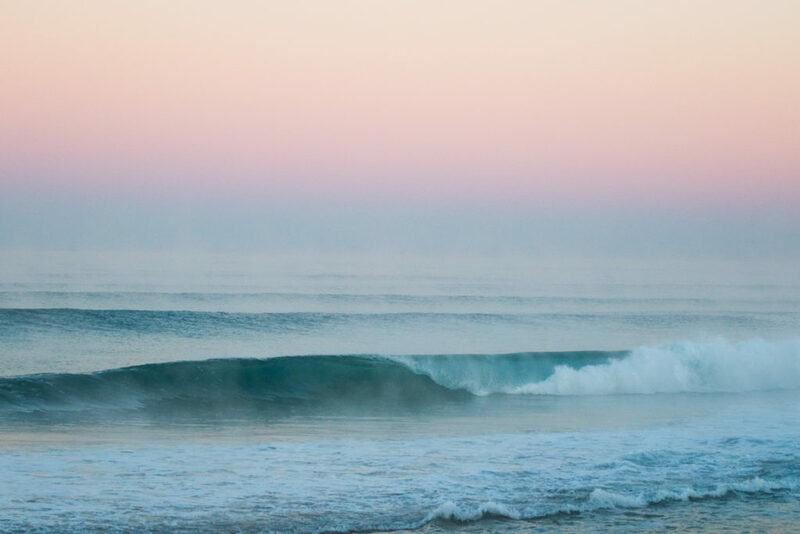 The swell and wind holds from the E/ SE through Saturday, with a new swell, with slightly less favourable winds, filling in again on Sunday and holding through the start of the following week. Basically it’s waves for days and it looks like it could be classic, although it all dependent on whether the sand, which can change from one day to the next in these parts, can organise itself accordingly. Filipe Toledo throwing buckets on his backhand. The free surfs so far have been mostly going down in fairly windy, shifty peaks, rendering them a poor indication of who we might be likely to see at the pointy end of the draw if big barrels come to the party. Italo boosts a big straight air in the shorey on the contest peak. That said, the Brazilian contingent is looking right at home, with Italo turning heads with every ridiculous full rotor, Medina looking composed and consistent and Filipe looking sharp as a razor. Medina warms up with a full rotation alley-oop, which he sticks with ease. 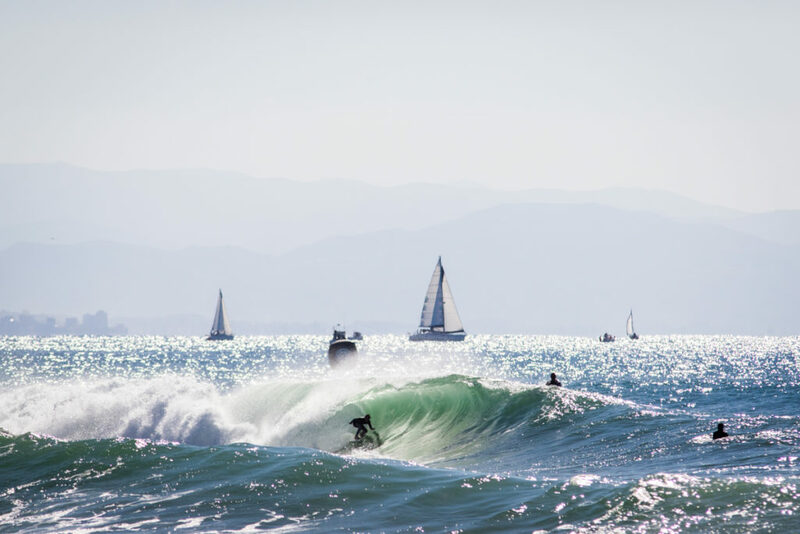 Mick and John John have also proved themselves very dangerous in similar conditions to those forecast and Jordy Smith and Julian are coming into the event on excellent form. Frederico Morais laying into a clean wall during this morning’s free surf. However, as Keanu Asing showed us last year, it’s sometimes worth throwing out a wild call in France, so ours this year are Frederico Morais, who’s super at home in beach break kegs, and Seabass (Sebastian Zietz), who’s talented in French waves is also looking strong. Seabass laying it on rail. Pressed to pick a winner though and our money’s firmly on John John, which isn’t exactly an out there call, but he looks hard to beat. John John flying into the wind. Tune in Wednesday for the first call and expect fireworks from Thursday onwards!